Towards the end of 2017, we began a partnership with Vermont Smoke & Cure to scale their direct-to-consumer e-commerce business. 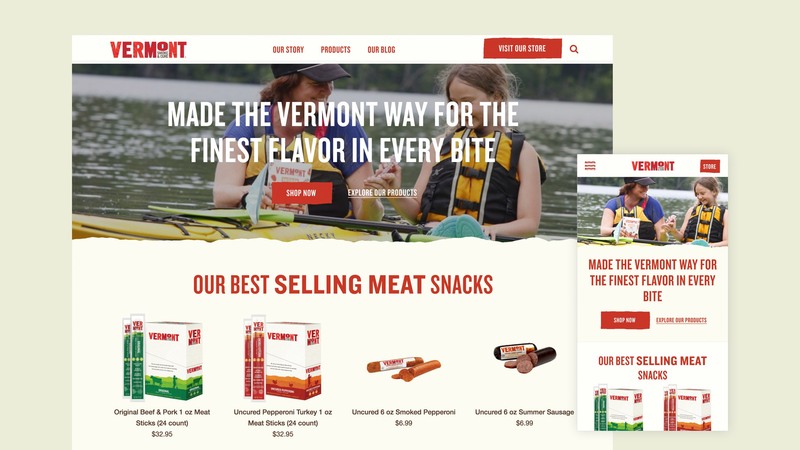 Vermont Smoke & Cure is a popular meat snack company best known for its meat sticks. In 2018, our goal is to help the brand increase sales on their own e-commerce channel. Our activities for the engagement will include a full spectrum of digital marketing services: paid marketing management, email lead capture and marketing, conversion rate optimization, analytics & reporting, and various other customer acquisition and retention assignments. 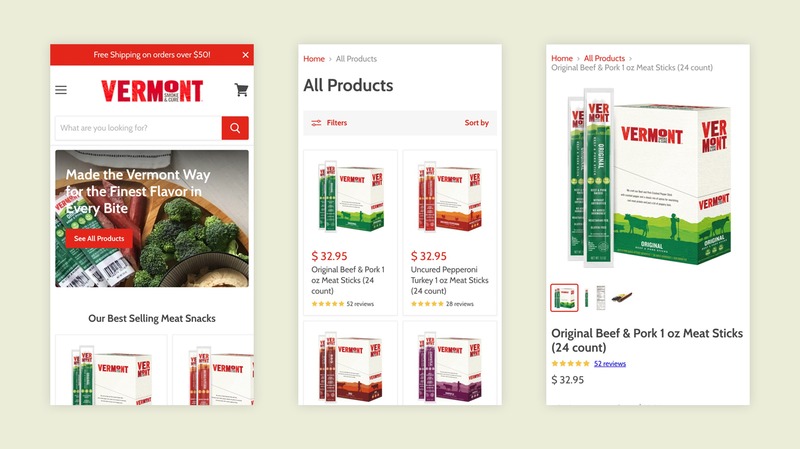 A new Shopify theme improves the mobile usability of the e-commerce experience. We’re excited to work closely with the VS&C team to develop a holistic approach to growing the direct-to-consumer part of their business. We completed our first full month in January with a number of completed initiatives including the launch of a more conversion-focused homepage, a new Shopify e-commerce experience that solves many of the mobile issues, revamping paid search to be more efficient in spend, and the launch of various paid campaigns on Facebook. This is just the beginning. We look forward to rolling out more improvements and initiatives in the coming weeks and months.